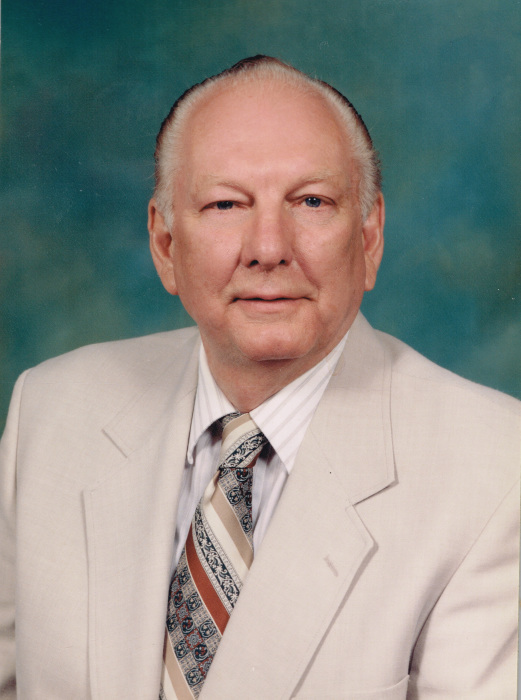 James William Cantrell, Sr. of Ellenwood, GA passed away Tuesday, May 22, 2018 at Piedmont Atlanta Hospital in Atlanta, GA. He was 84 years old. Born near White Plains, GA on March 14, 1934, he was the son of the late William Hoke Cantrell and Faye Copelan Hulsey Cantrell. He attended school in Greene County, GA and earned his high school diploma while proudly serving his country in the United States Army. On September 3, 1955 he married the former Margie Dell Underwood and they made their home in the Atlanta area. For over thirty-one years, James worked in production at the General Motors Lakewood Assembly Plant in Atlanta, GA, retiring in the late 1980’s. In his early years, he attended White Plains United Methodist Church, and during the later years of his life, he was active in The Ole Country Church in McDonough, GA. James loved the outdoors. During his lifetime, he enjoyed hunting and fishing with his son, having summer vegetable gardens, and camping with his wife and several of their friends. He loved spending time with his family, especially his granddaughter, Rebecca. He is survived by a son, James William (Jamie) Cantrell, Jr. and his wife Paula of White Plains, GA; a granddaughter, Rebecca Cantrell and her fiancé, Jacob Yearwood; two sisters, Vivian Southerland of Moccasin, MT and Jane Ellis of Dahlonega, GA; and a brother, Terry Cantrell of White Plains, GA. He was also blessed with many other family members and friends. In addition to his parents, James was preceded in death by his loving and devoted wife of over sixty-two years, Margie Cantrell, in October of 2017. He was also preceded in death by a sister, JoAn Roberson. Funeral services will be held Saturday, May 26, 2018 at 11:00 a.m. at McCommons Chapel, 109 W. Broad Street, Greensboro, GA 30642 with Rev. Robert Vines officiating. The family will receive friends Saturday from 10:00 a.m. until time for the service at McCommons Funeral Home. Burial will follow in the White Plains Baptist Church Cemetery, 1020 Main Street W, White Plains, GA 30678. Serving as pallbearers are Jeff Dowdy, Jacob Yearwood, Tommy Underwood, Billy Wayne Marchman, Franklin (Flea) Marchman, and Lamar Callaway. McCommons Funeral Home, 109 W. Broad St., Greensboro, GA, (706) 453-2626, is in charge of arrangements. Visit us at www.mccommonsfuneralhome.com to sign the online guest register.